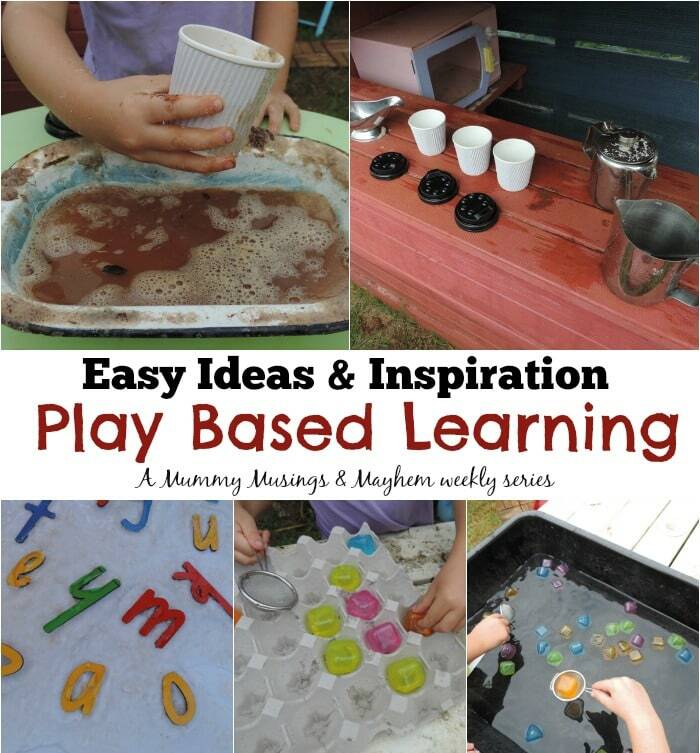 Welcome to my weekly series of play based learning posts. 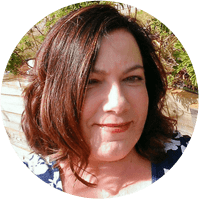 It is my aim to inspire, support and encourage both parents and educators to provide simple budget friendly play experiences for children under 5 . 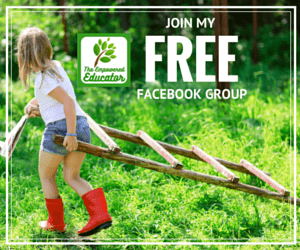 Each week I’ll take you on a journey through some of the activities I shared with my home daycare children the previous week. 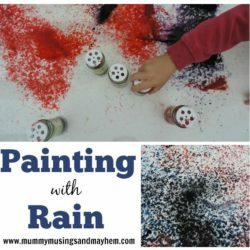 Most of the activities are easily modified for both toddlers and preschoolers as I provide a program of activities for a multi age group each day…so they just have to be! 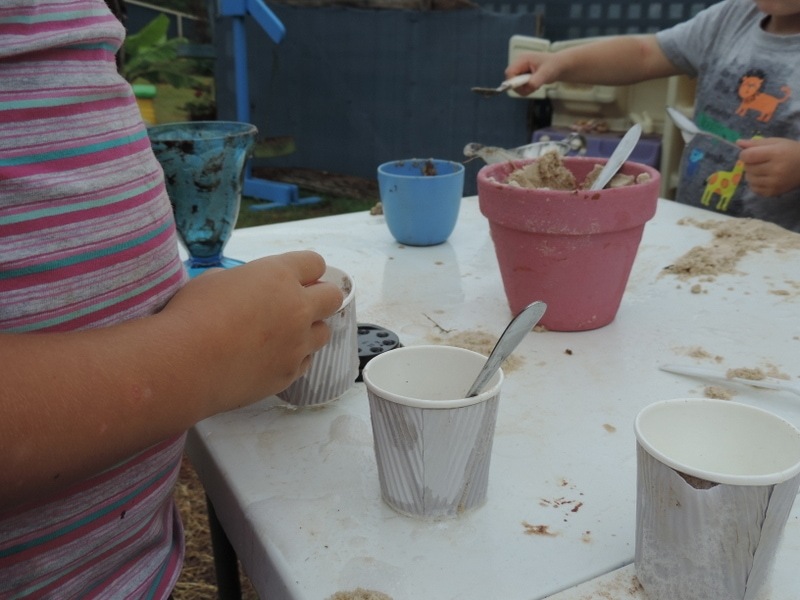 You’ll notice many of the activities are based outside, that’s because I love outdoor play and messy play so we spend a lot of time there! Many of the activities can be brought inside though if you need to. 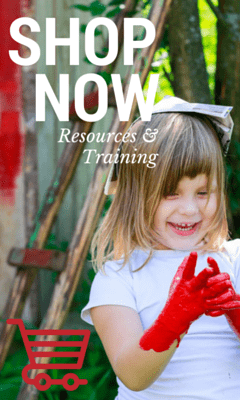 If you are an early childhood educator be sure to think about your relevant learning frameworks and how the following activities might fit into areas of learning. If you have any questions about how I would link to certain outcomes or elements just ask in the comments section below. I have tried to use some of the language of the EYLF to help you identify learning outcome areas. So, let’s take a wander through our week…. The building and construction box. 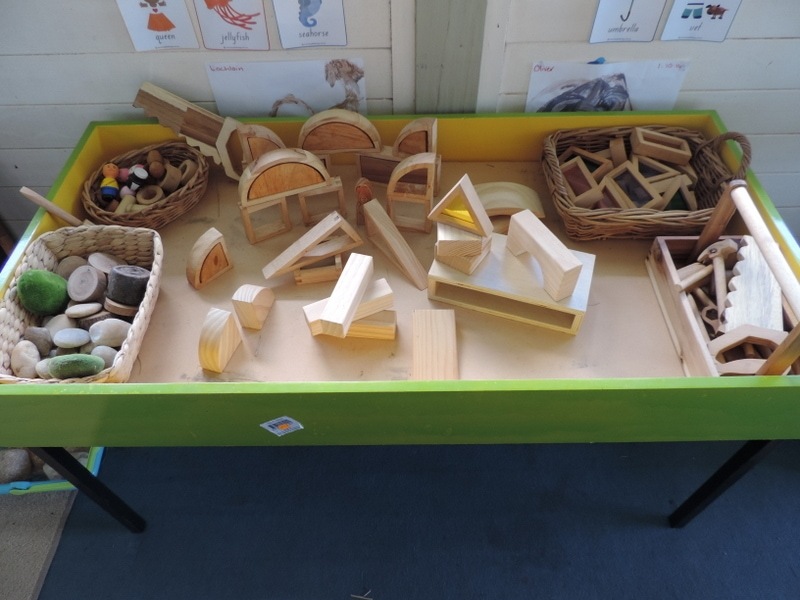 I simply added a few of the children’s current favourite loose parts and building materials to the sensory table this week, put in the wooden tools and let the children explore as they wished. 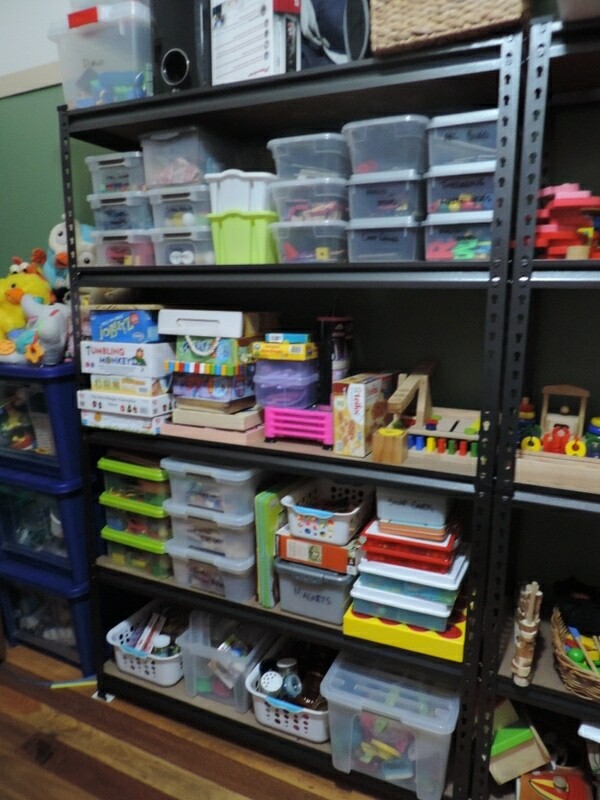 Construction and block play provides many opportunities to strengthen fine motor and spatial awareness skills as well as encouraging the use of problem solving skills, language to share with others what they are doing and why and allows children to use their senses and imaginations as they construct and work through play scenarios and real life experiences. 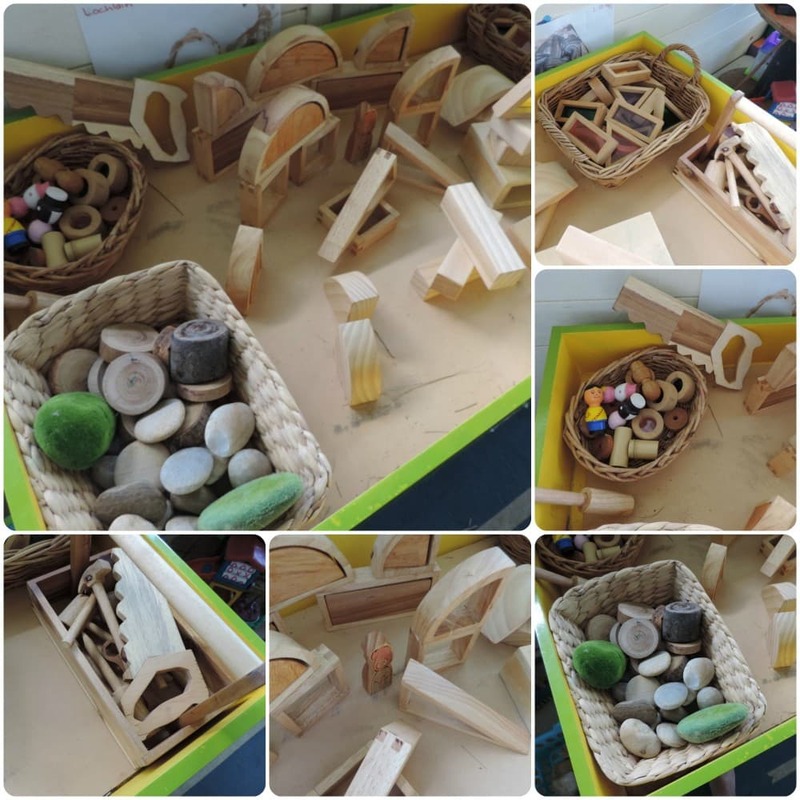 This week’s building table offered me a few intentional teaching moments as we discussed shapes and the role of a builder with tools,explored sequencing and the concepts of small, medium and large with the stones and wood cookies and named colours as we built towers with the window blocks. 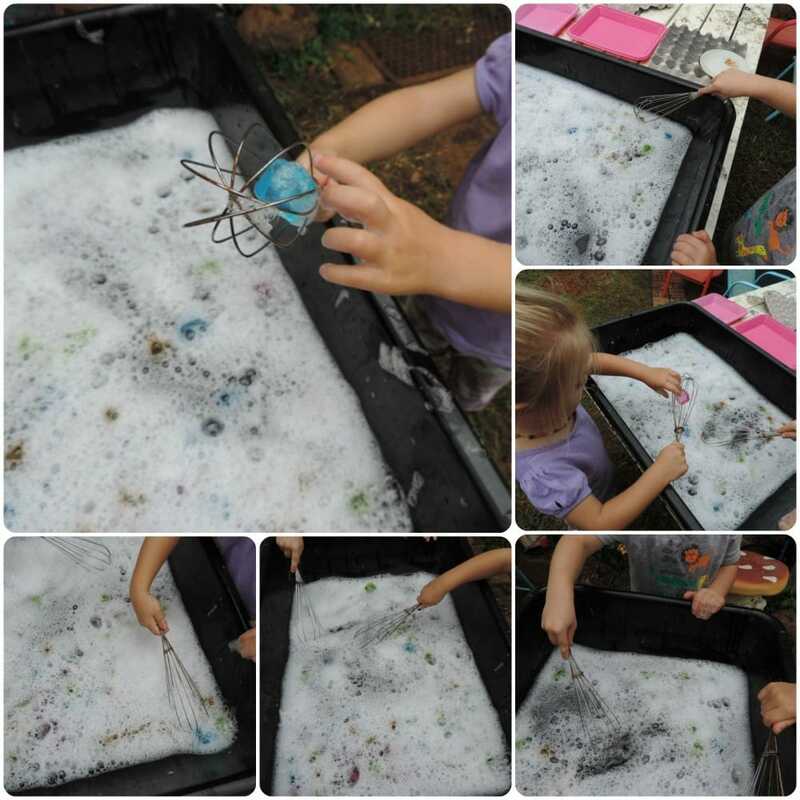 What skills is a child exploring with this activity? Discussions about building and the role of the builder, bricklayer and carpenter – what do ‘tradies’ do in our community? Being aware of using natural materials and why we use them. 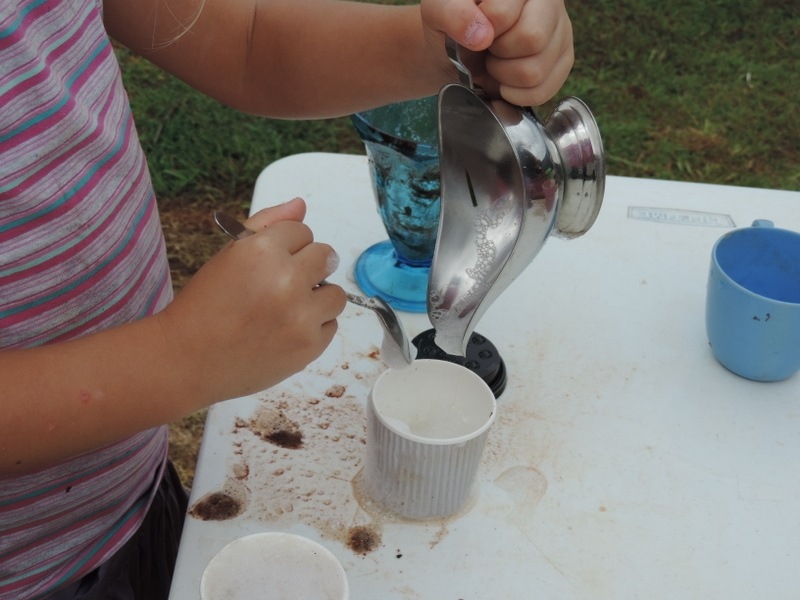 I recently saw some little takeaway coffee cups in the $2 shop while on holidays and knew they would be perfect for some dramatic play in our outdoor cafe! 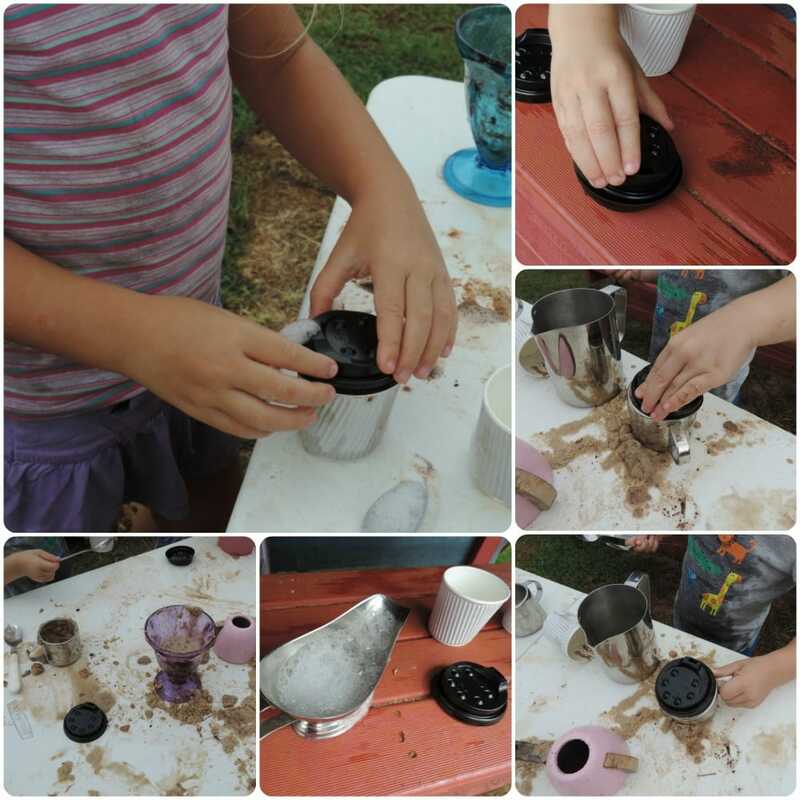 I set up some tables with bowls of sand for sugar, some brown water (added a little edicol dye but the children also added dirt from around the yard), spoons, shakers, whisks and jugs and then I stepped back and watched the magic of play and learning happen. 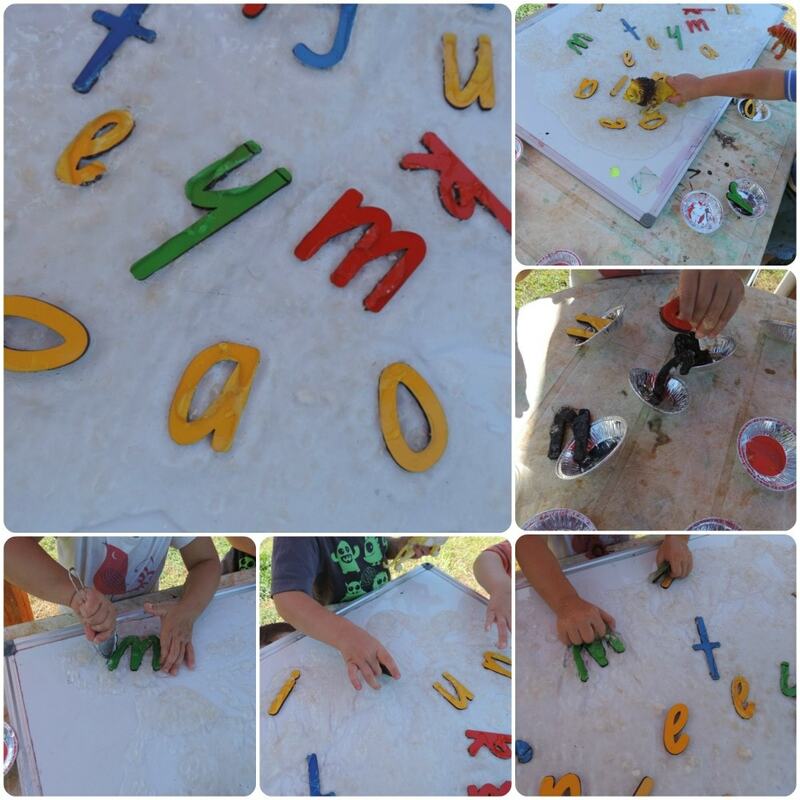 Later we extended the activity by making some salt dough ‘cakes’ and writing and decorating a sign for our coffee shop. 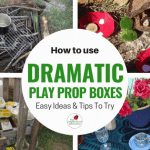 They all absolutely loved this activity and we did it every day…and everyday they added a new twist to their play. I also used the lids to focus on those fine motor, perseverance and problem solving skills. 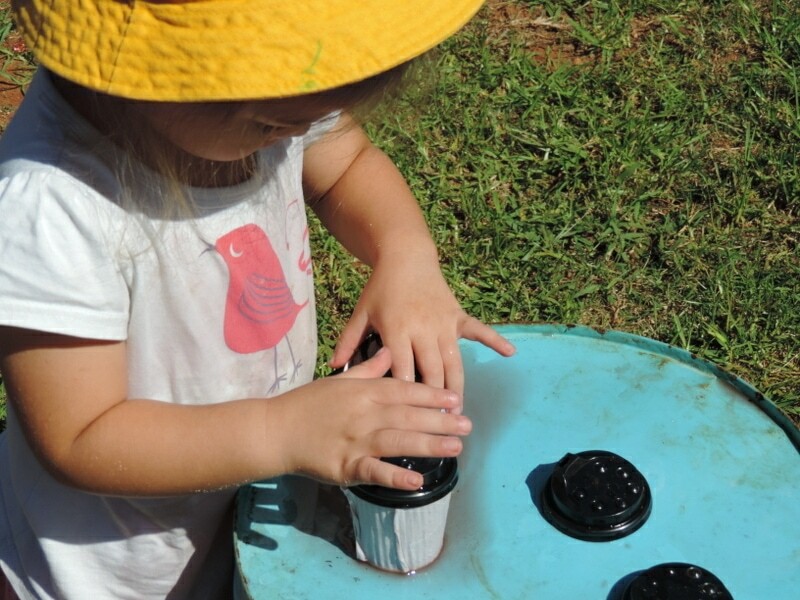 They were quite difficult to put onto the cups for little hands so I encouraged them to try different ways of making the lids fit. They showed so much pride when they go the lids on. 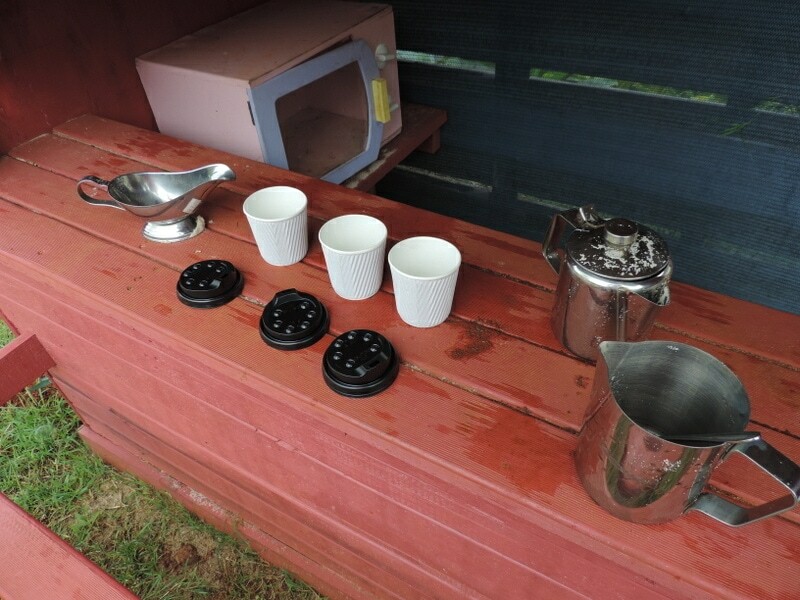 Some of the children even made them work on just the normal tea and coffee cups! 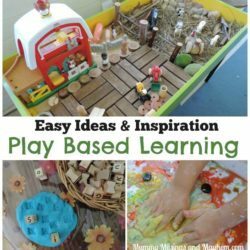 This activity was so easy to set up yet offered many different opportunities for learning, play and extensions. I set out my whiteboard and added a layer of ‘slime’. I just use some cellmix powder mixed with water to make a lovely sensory slime type gel. No toxic nasties to add! I then added some of my magnetic NSW font letters and squished them into the slime, a few of the letters I pressed hard so they stuck to the whiteboard with their magnet. The children tried to find the first letter of their name with a little support from me and then they tried to find the letters I shouted out. This is a really engaging group activity but does need some educator/parent input and guidance if focusing on letter recognition. 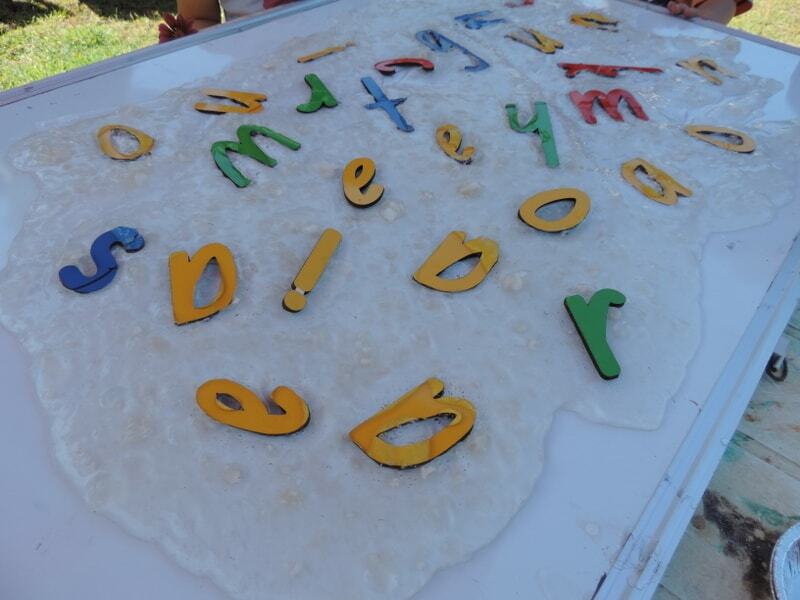 If you don’t want to lead the activity you can just encourage the children to have fun trying to pick up the letters from the sticky slime, some letters are even harder to pick up because they have made contact with the board! I noted a few of the children searching around for tools (like the strainer in the pic below) to help them lever the magnets from the board. Fantastic for working those hand and wrist muscles as well as encouraging persistence and problem solving. 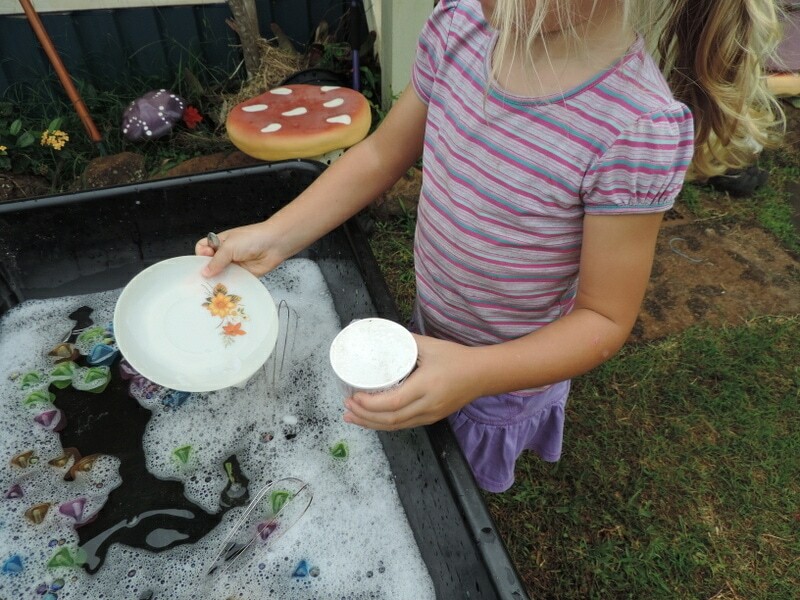 Water play is one of those activities that can be extended in so many ways and I am yet to meet a child who doesn’t love it! 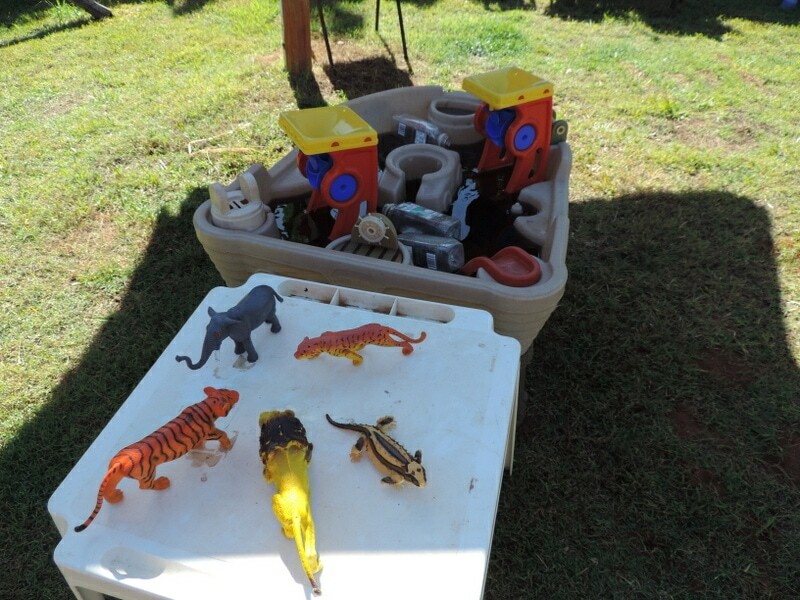 On this day I set out some animals and the water tub as we had previously been talking about how the animals were looking like they needed a wash. I left them out as a prompt but the children decided how they wanted to play with them. 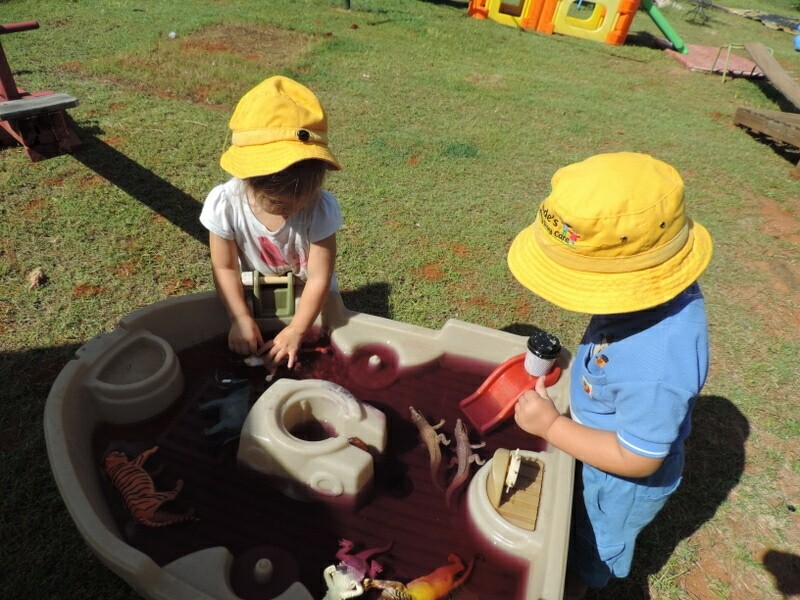 They did have fun washing them but also decided they needed to swim in a ‘muddy pool’ so I turned the slime we had used with our letters into a muddy pool! I added a little edicol paint powder and the children’s job was to mix it in so it quite quickly turned blue which also led to a little sensory exploration with inquisitive fingers. 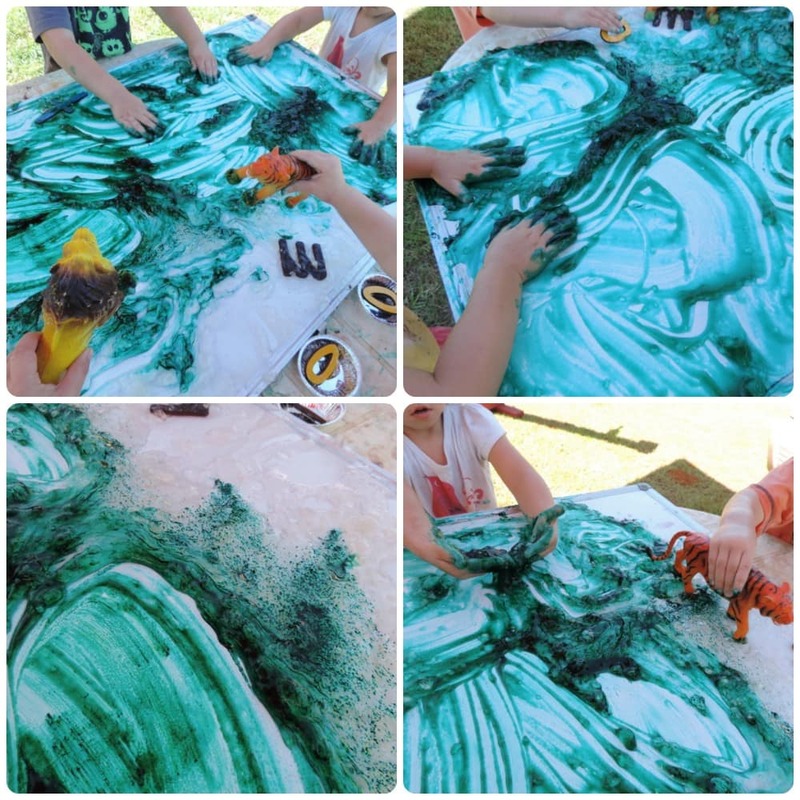 Squishing, handprints, squiggly patterns and ‘pre-writing’ practice in the slime! I’m a little embarrassed to share with you how excited I was to find these coloured cubes in the $2 shop on holiday. I *may* have spent a little too much money in that particular shop but everything was soooo cheap you understand and i kept thinking of the experiences I could offer the children. Suffice to say I won’t be going into one of those dollar shops again with His Patient Self…he didn’t seem to quite understand the need to spend money on so many bits and pieces and I swear I saw him visibly shake when we were at the checkout. But no matter, I got 4 packs anyway…as you do. They are actually cubes filled with water and meant to be used as frozen ice blocks for your drinks. We won’t be doing that obviously. I have so many plans for those little beauties. What I did with them this time was freeze them overnight, add them to the water tub the next day and then handed out some tea strainers to be used as scoops (I *may* have purchased these in the same shop) The children had to try and scoop up the cubes and were so surprised to find them cold. 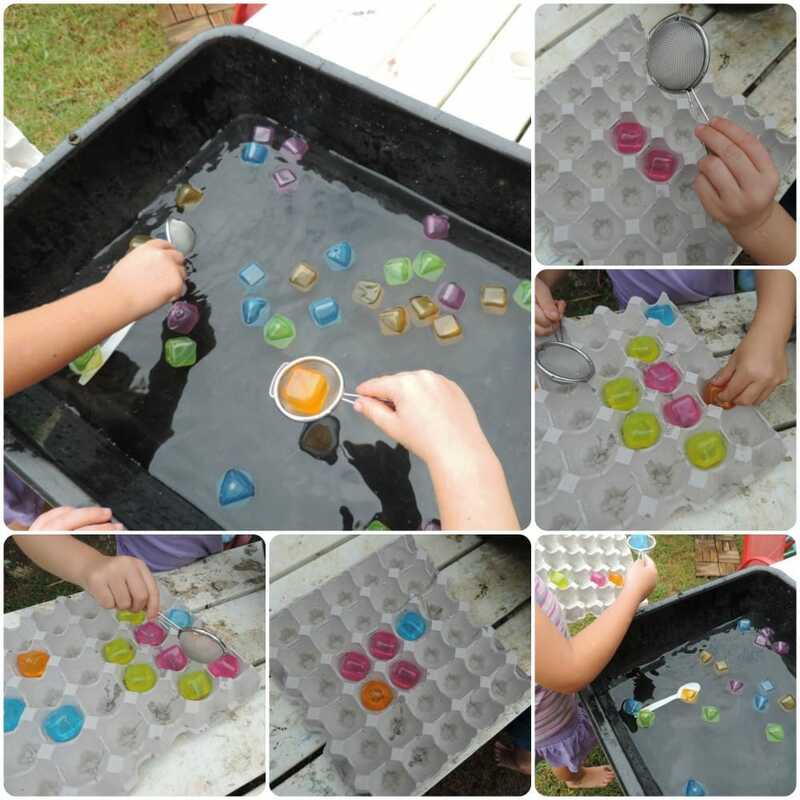 I challenged the older children to find certain colours as I called them out or to count out a set number of cubes into their egg carton tray. 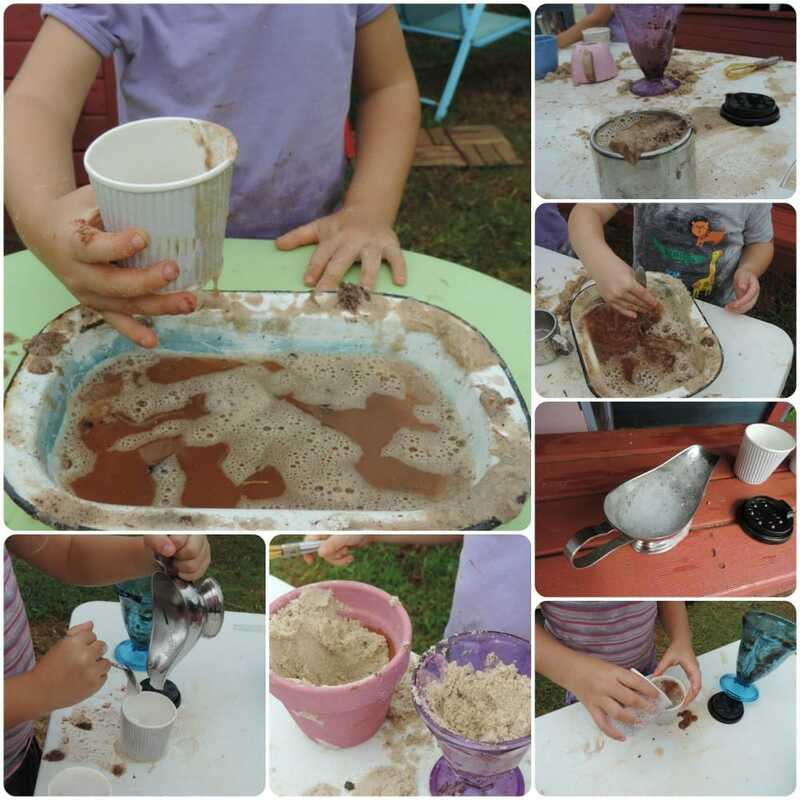 The toddlers enjoyed the challenge of coordinating their movements to scoop and carry their treasure to the trays. We marveled at the patterns they were making and this led to a group sequencing game…what colour comes next? Also in the water tub this week I added a little detergent and our trusty whisks so the children could get those wrists working and whisk up some bubbles and froth. Using the cubes again (see!) there was much laughter as everyone tried to catch one in their whisk. This took lots of concentration and led to many interesting conversations! 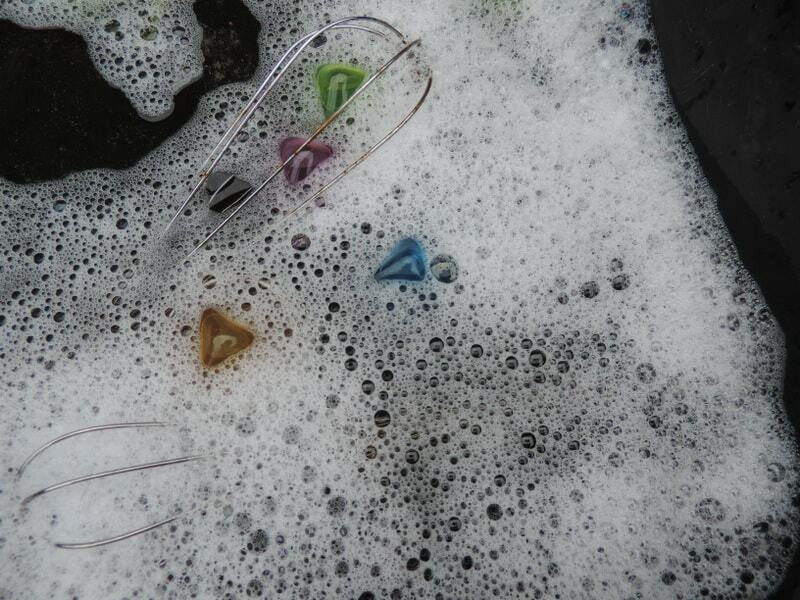 It proved more difficult to get them out then it did catching the cubes hiding in the bubbles. 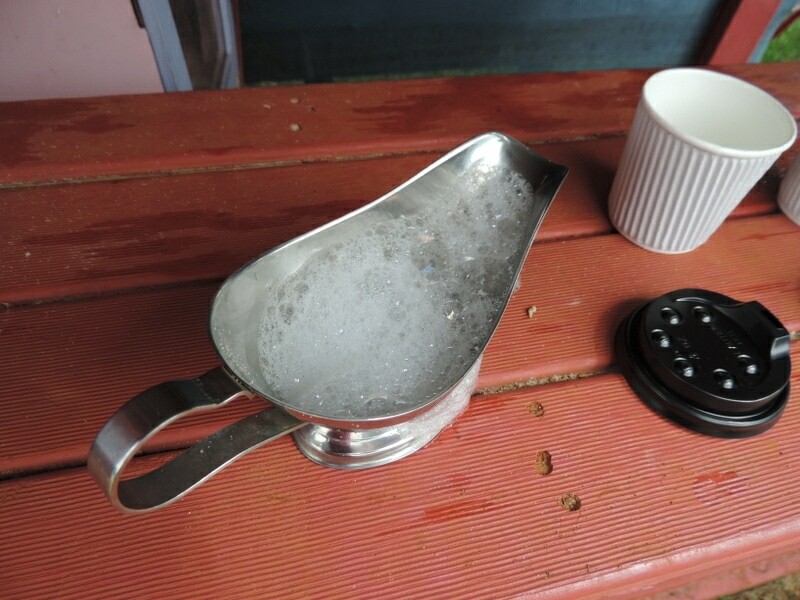 The froth was very useful when making the coffees, the tricky part was scooping only the bubbles and foam rather than water as well because it then disappeared when poured into a cup. But it certainly made for a lovely cappuccino don’t you think? Being aware of using recyclable materials and why we use them. 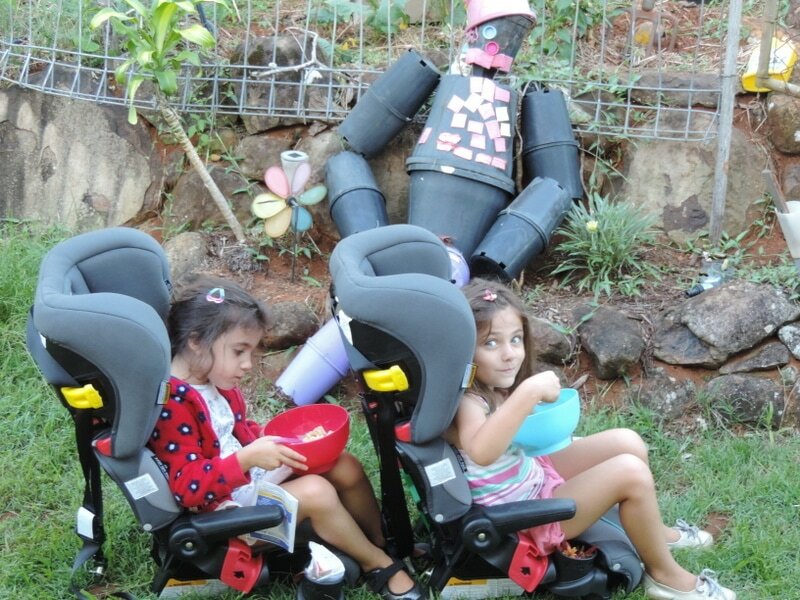 At the end of a busy week the twins decided to grab their carseats and have ‘takeaway’ while “driving back to holidays”. Can’t say I blame them, was a bit of reality check heading back to work and our normal routine. 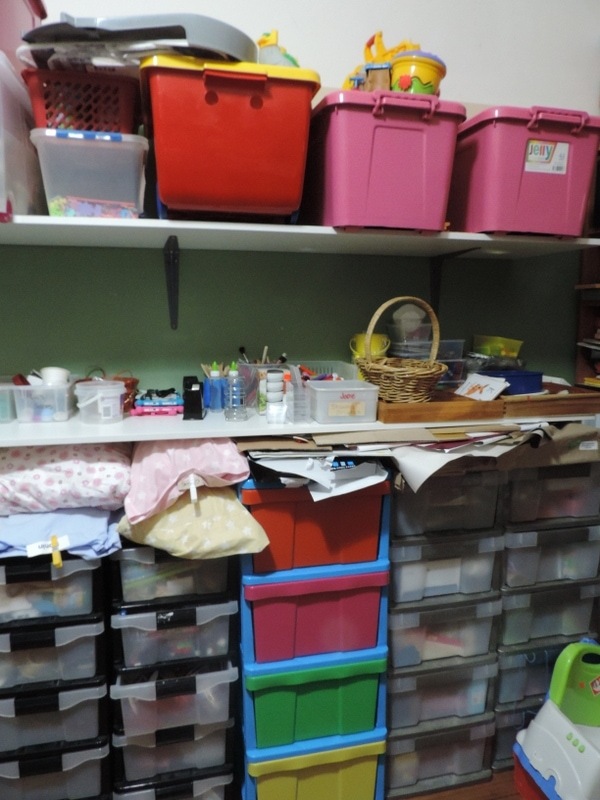 I began my ‘great storage room cleanout’ which I have finally nearly finished. Still more to do but at least I can find things again and I felt such a sense of achievement at the end of the weekend. Now to keep it that way! 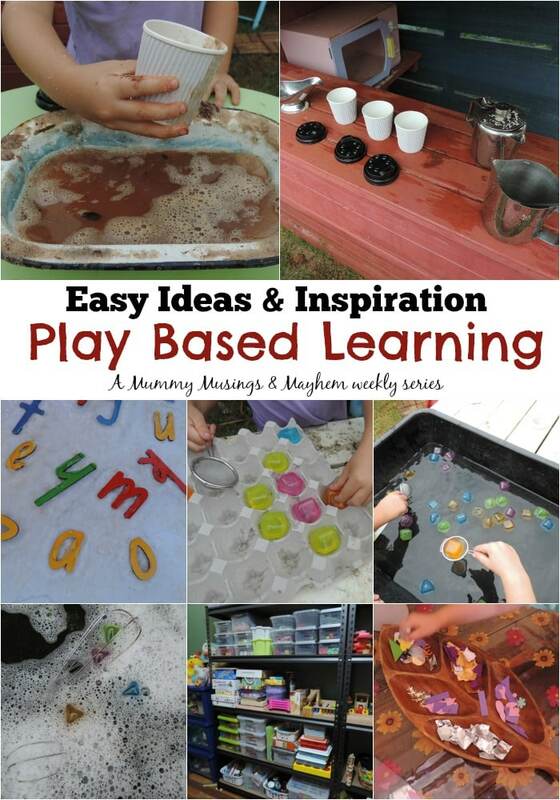 All of these activities were fun, have been easy to put together and yet have incorporated many learning concepts. 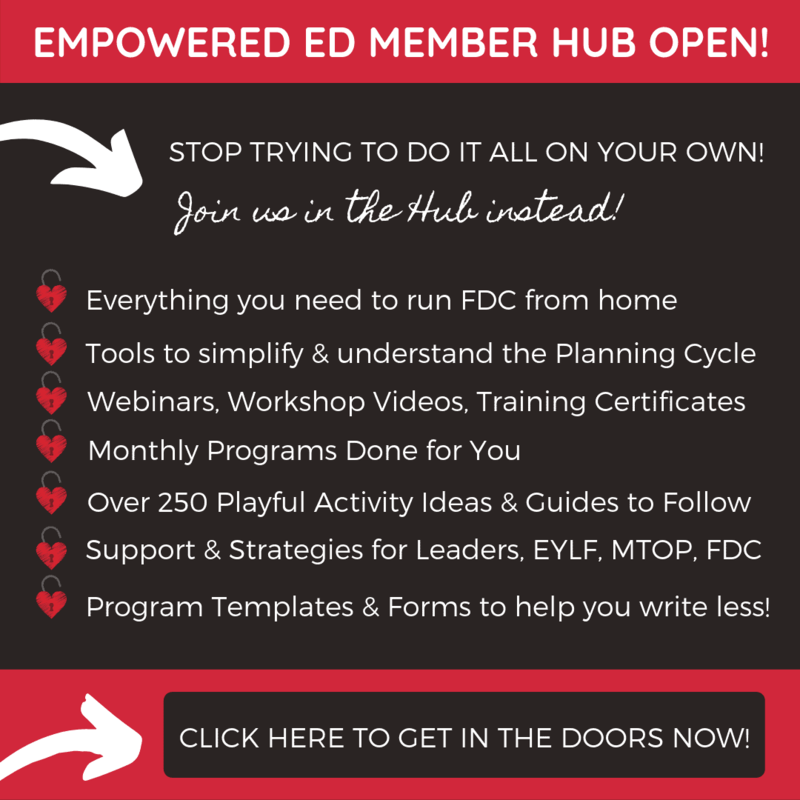 « Home Based Early Childhood Services – The real story. Wow! 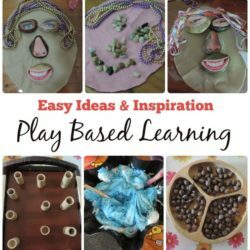 I want to play at your day care 🙂 So much wonderful creative learning. Thanks for commenting on my foaming hand wash post. I hope it worked for you.